It's time once again, to stack yet another potential great game on the list of what appears to be "Game-o-rama 2010". Yes, this is our official title for the fact that, the first three months of 2010 is seeing a plethora of game releases usually reserved for the hot, hot holiday buying season. 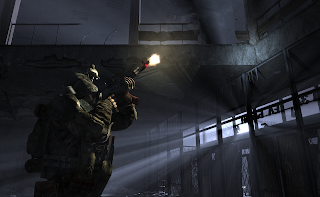 THQ's Xbox 360 console-exclusive Metro 2033, will release for the North American public, on March the 16th (March 19th for the European market). Sandwiched between the likes of Battlefield: Bad Company 2, Final Fantasy XIII, and Blur (to name just a few), we kinda hope this one doesn't get lost in the shuffle. We're a pretty big fan of the pre-order, usually due to all the potential bonus's retailers offer. 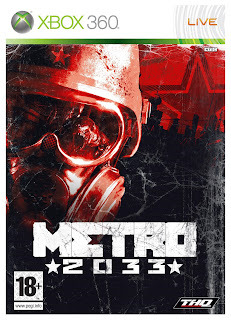 In this case, you can pre-order either the Standard or Limited Editions and you'll receive free Metro 2033 themed Avatar items. Not the greatest of pre-order bonus, but a bonus none-the-less.